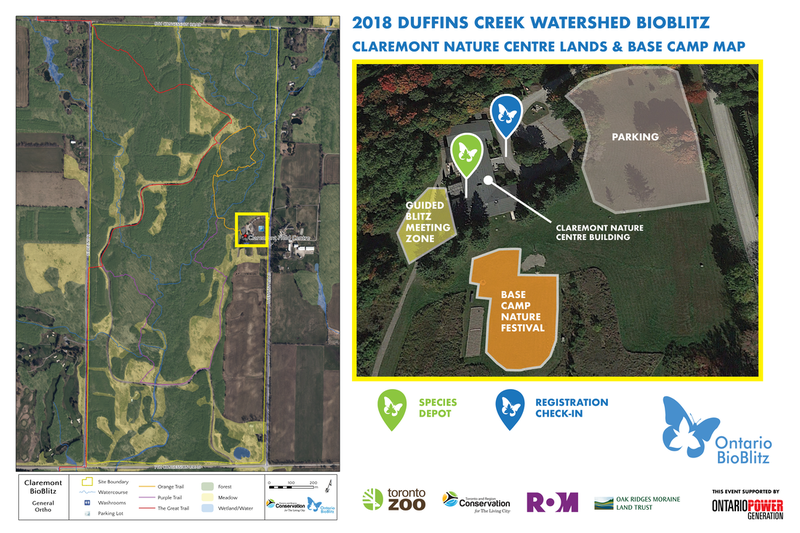 DUFFINS CREEK BIOBLITZ REGISTRATION IS NOW OPEN! and reserve your spot today! Duffins Creek drains into the north shore of Lake Ontario and connects communities across Durham Region and York Region, including Pickering, Ajax, Markham, Whitchurch-Stouffville, and Uxbridge. The Duffins is one of the healthiest watersheds in the Greater Toronto Area. Claremont Nature Centre is located on a beautiful 160-hectare property in the Durham Region. The pristine Duffins Creek runs through the property flanked by valley slopes of mixed woodland and open meadows. 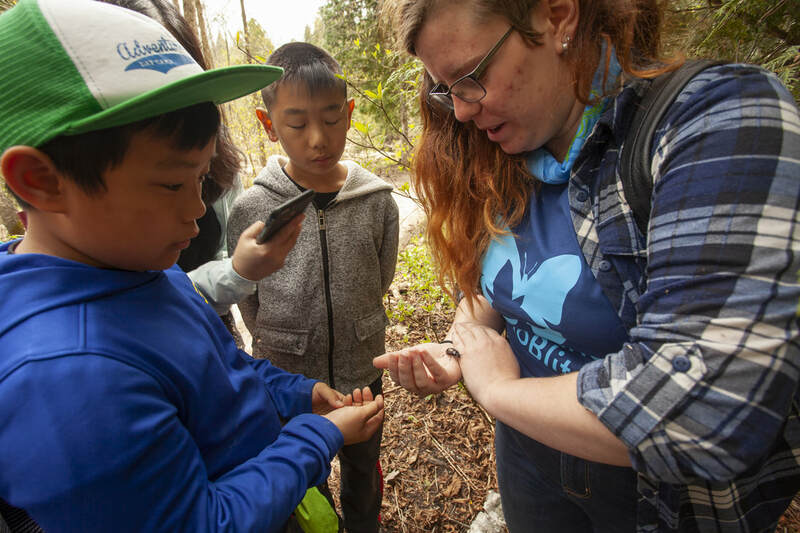 The Centre itself is a hub of activity that houses visiting schools, camps, girl guides and scouts, and other community groups of all ages, providing nature-based education programs for all! Below you will find the schedule of events at Base Camp for our Public Nature Festival, the Guided Blitz Walk and Workshop Schedule, Base Camp Map, and more, as soon as they are available! Parking is limited at the Claremont Nature Centre, but will be available on-site. Please try to arrange for carpooling options in advance of the event. Please note that we are trying a new method for our participants to sign up for guided blitz sessions this year. Many people who register in advance do not show up to the event. In order to ensure those who come to the event are able to join the sessions that appeal to them most, participants will join the walks or workshops that appeal to them based on the schedules below.